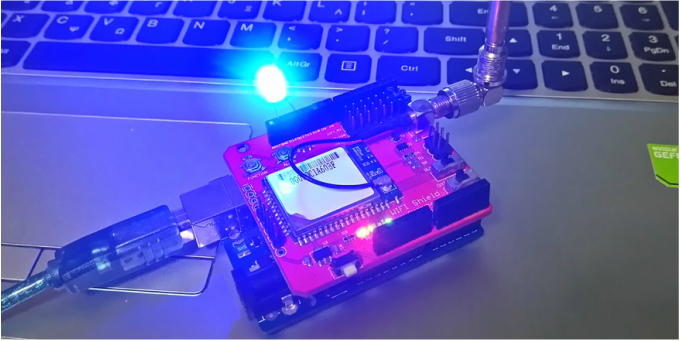 In this tutorial you will learn how to use the WizFi210 - Arduino WiFi Shield with Arduino uno board. 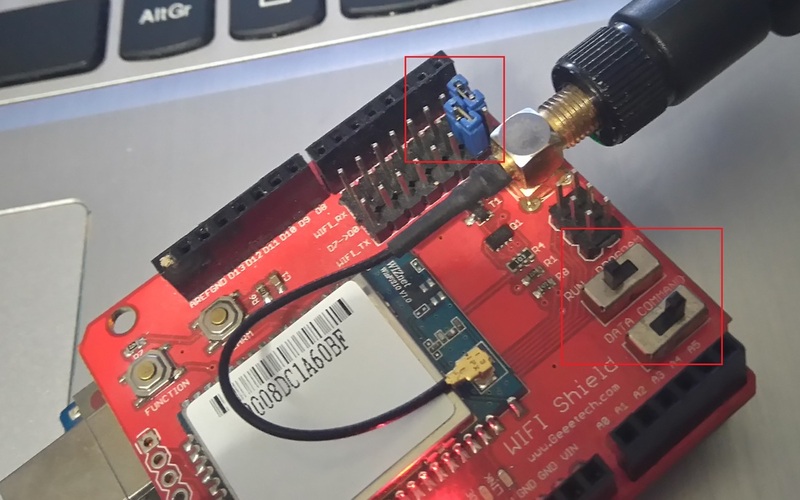 This low-cost wifi shield can be easily connected to your WiFi network and communicate with the Arduino uno board through the serial communication protocol. 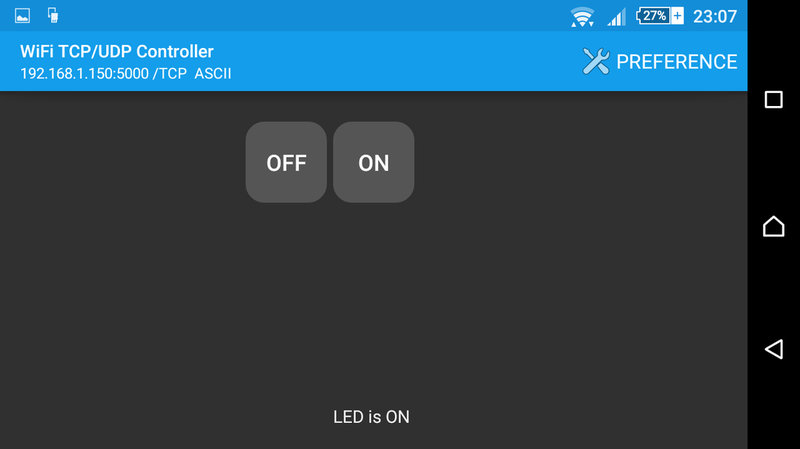 In this tutorial we will control an LED wirelessly from an Android phone/tablet app or from a computer tcp/ip terminal. 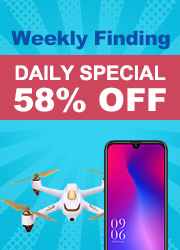 You can also use your phone as a personal hot-spot and connect to it through the following procedure. 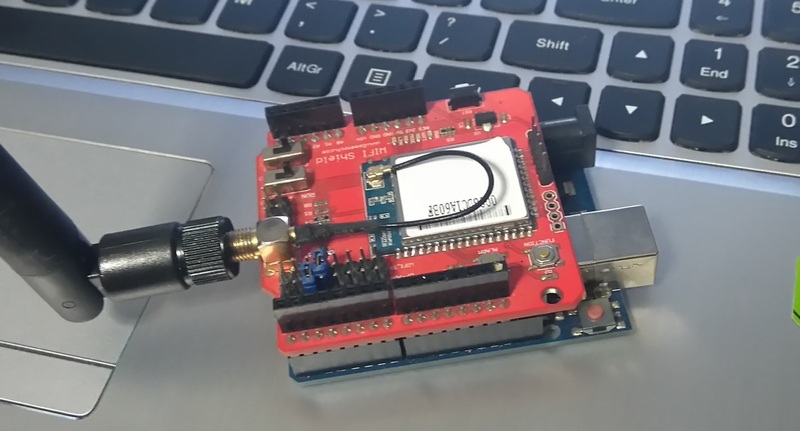 Remove RX and TX jumpers from WizFi210 to program your Arduino uno board. Try downloading the Codebender plugin and clicking on the "Run on Arduino" button to program your Arduino board with this sketch. And that's it, you've programmed your Arduino uno board from your browser! Now put jumpers back to shield with the following connection: RX to TX and TX to RX and set SW to DATA. flag=1; //print this message only one time! The ip to 192.168.1.150 and port to 5000.